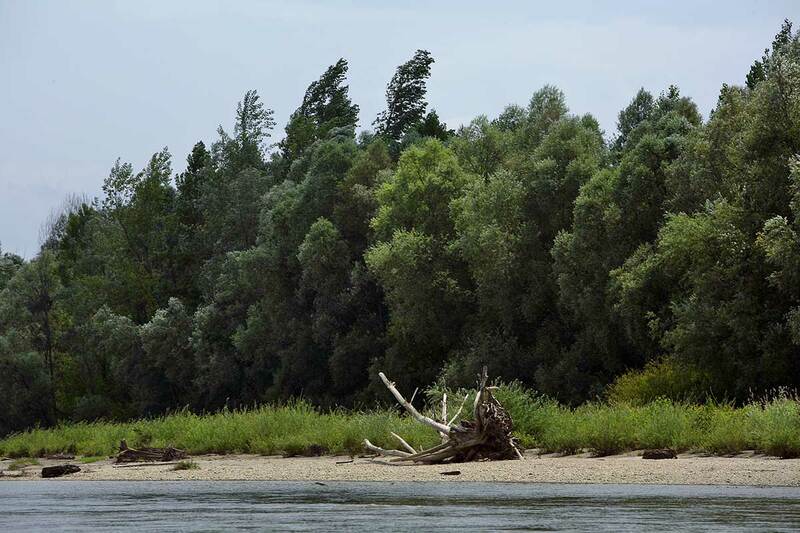 Drava river is among the most pristine lowland rivers of Europe. 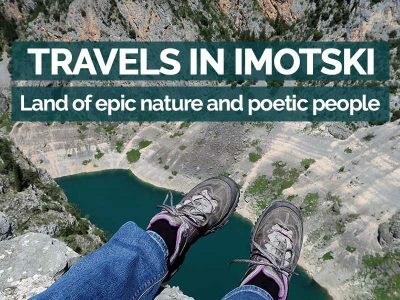 From the moment it enters Croatia in Međimurje county all the way to where it flows into the Danube, it creates a rich, almost magical landscape. A portion of its length has been regulated. 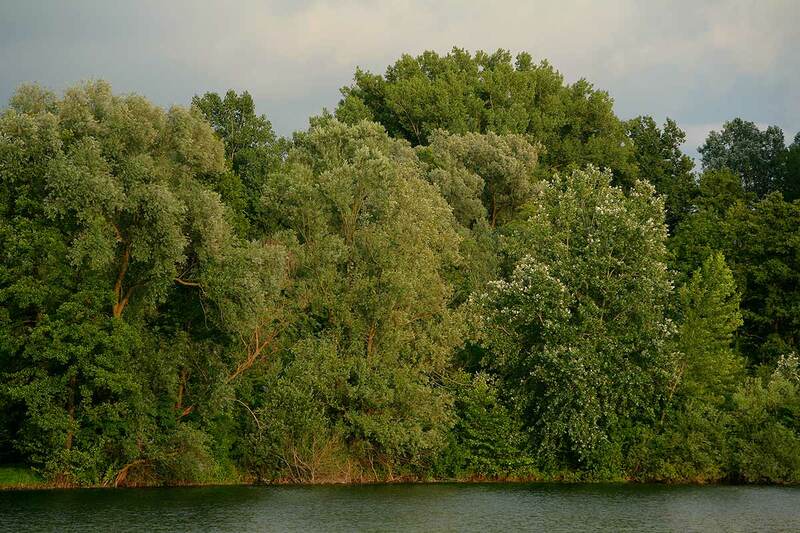 But in Podravina county, Drava river is at its most unspoilt. Whimsical meanders, river shoals, oxbow lakes, and ancient oak forests … all this has now become a UNESCO biosphere reserve. Nature is protected. Now it’s time to do the same with the stories and legends of this part of Podravina. Because where the countryside is miraculous, people’s imagination follows along. To collect as many Podravina stories as possible, I am starting my journey in Legrad. Just outside town, the rivers Drava and Mura meet in a striking confluence. Only a tiny bit of this natural wonder is made into a beach. This is Halasz Csarda, a popular summer outing. Surrounding forests and river brooks are wild and untouched. And from recently they have become a protected zoological reserve Veliki Pažut. 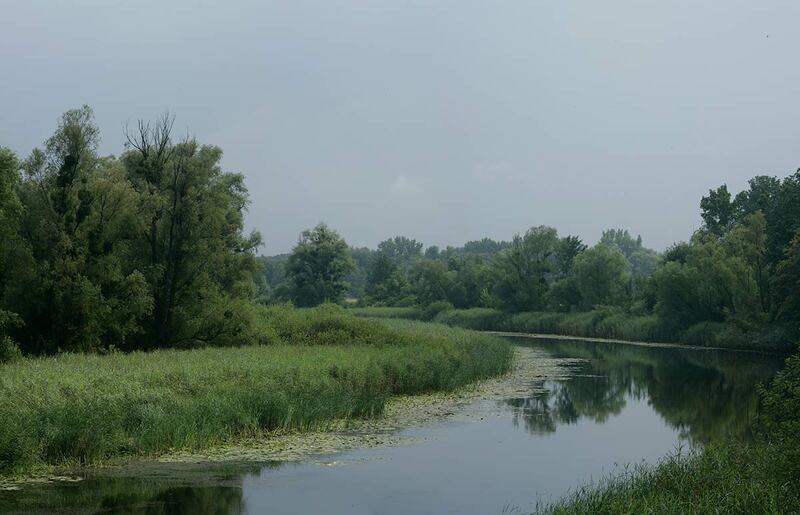 Podravina locals are proud of this stretch of nature. But as I prod them about the exact spot where the two rivers meet, I uncover an amazing tale. Several years ago, the confluence ‘travelled’ further north. ‘How can that be?’ I ask Zlatko Moškon, a special river guide from the Drava Documentation Centre. Then he pulls out a map to show me where the mighty Drava had eaten away at a river island further north. This is not the first time that the Drava changed its course. Unlike other European rivers, its banks are more or less left unpaved. Which allows it to ‘dance’ and meander as much as it wants. The untamed river did another work of magic. In 1710, during extremely high flows, it made a sharp swerve around Legrad. And it all happened overnight. The town skipped from the left to the right riverbank. After this wondrous ‘move’, Legrad found itself in a different county. It ‘travelled’ from Međimurje to Podravina. But it also lost precious vineyards on Legrad hills to the neighbouring Hungary. To commemorate this curious sleight of the Drava river, Legrad locals cross into Hungary each year on the feast of St. Anna. They travel on a raft, and then hike up the hill to hear a Croatian mass in the chapel of St. Michael. Visit Legrad without knowing its history and it will seem like a regular small town. Yes, there’s a beautiful square with the beautiful baroque Church of the Holy Trinity. Now, continue strolling around. Notice something eerie? Is it the mist from the nearby rivers? Or a large number of empty, crumbling houses? Something pulls you in and you want to stay longer… I think it’s that shape-shifting quality, the way Legrad moves around when you don’t look. And I think it started in 1661 when the Croatian nobleman Nikola Zrinski built the Novi Zrin castle to protect these lands from the Ottoman invasions. Unfortunately, the Austrian emperor already had a secret peace treaty with the Sultan. So, instead of commending Nikola on his efforts, he paid the Ottomans to destroy the castle… so the legend says. 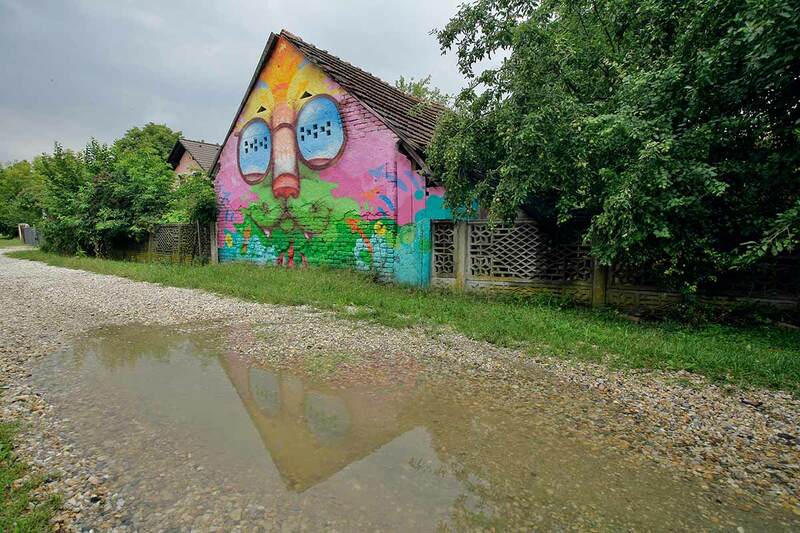 More subtle but also more colourful transformations take place in Legrad every day. 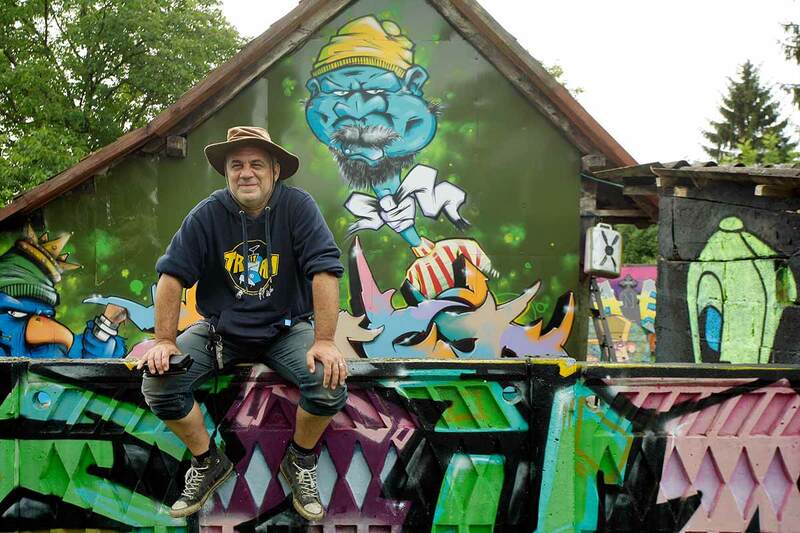 I am visiting Graffiti Ranch Legrad, run by the passionate street art promoter Samir Utegurovich. Most of the vibrant artwork resides at the Ranch itself. 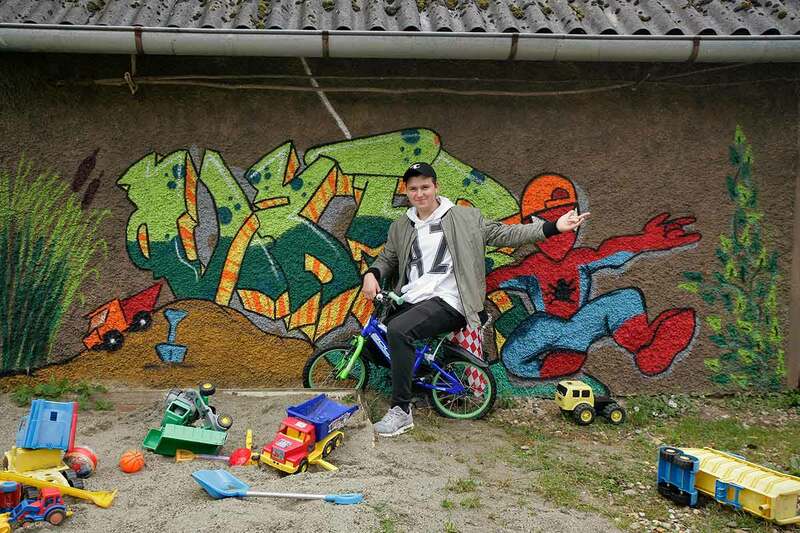 Samir’s idea is to gather world-renowned artists in Legrad and give them a space to paint. His devotion is strong, even contagious. Many young artists come here to learn the ropes on portable boards. ‘When we give them the canvas, we stop vandalism in the future’, Samir says. But the murals have also spread all over Legrad. Samir works with elderly people who can’t repair their facades. 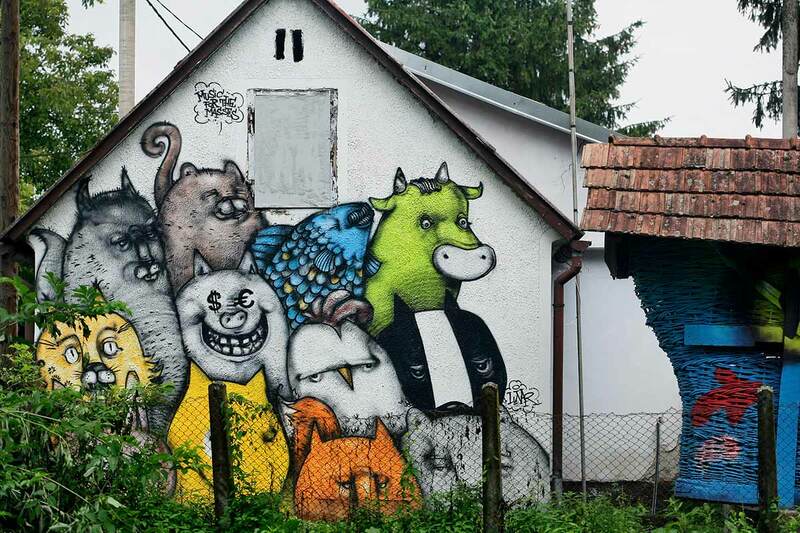 He patches up the holes, and then brings street artists to do their magic. Lunar, for example, is a frequent guest in Legrad. Walk around and you’ll quickly recognize his cats. The budding generation of local artists is active too. 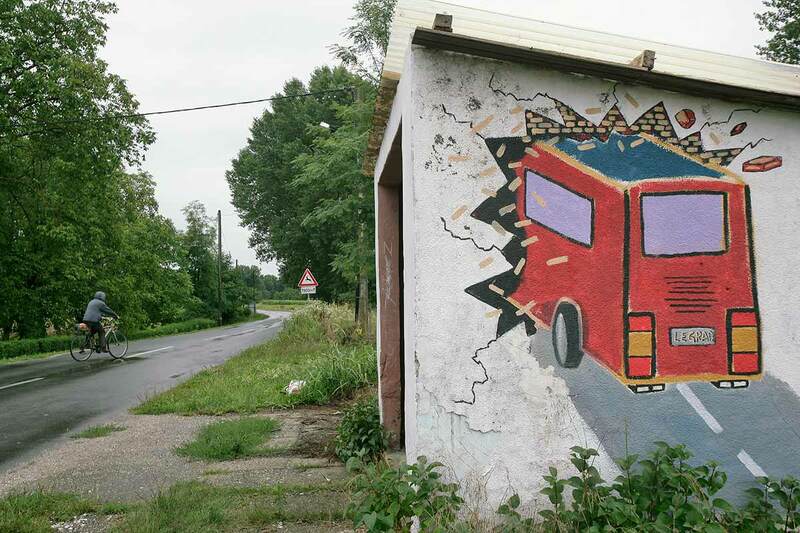 Young Dino Cvetinić was part of the team who painted a local bus stop. Before this intervention, the place was derelict and unsafe for buses to stop. Now, children use it again to get to Koprivnica – the biggest town in the county. If they knew we’d be hanging on the Drava river around noon, Legrad locals would issue us a hard warning. It would be against vtoplenik, a curious river creature, covered in hair from head to feet. The word vtoplenik means a drowned man in the Kajkavian dialect. Allegedly, vtoplenik lurks around the Drava river and is especially dangerous at midday. Then it can even assume the shape of a swan to lure you inside the river. Of course, only to pull you in and drown you. At all other times, as the local legends suggest, vtoplenik might even join you around the fire in a silent communion. I call this photo ‘walk on the water’, but I am really daring vtoplenik to come out! I didn’t have the slightest clue about the supernatural life in the Drava river. But our guide Zlatko made sure we found out more as soon as we boarded his dinghy. Zlatko, as I wrote before, works at the Drava Documentation Centre. It’s an organization which strives to reunite people with the river by uncovering its endless charms. And endless they are. Especially when Zlatko told us our trip was, in fact, a hunt for the Drava monster, the so-called Dravska neman. Our boat was powered by an electrical motor so we were as silent as possible. Down the Drava we floated, catching currents to save energy. 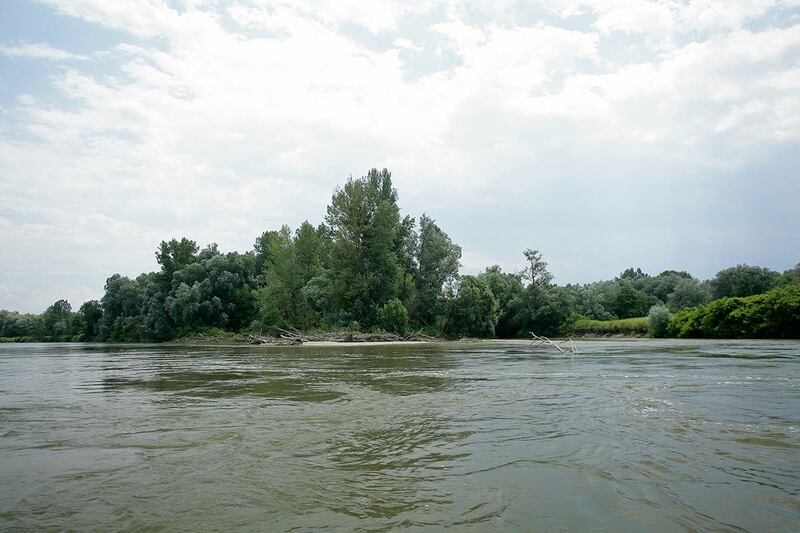 As the river carried us, Zlatko unraveled his knowledge about the Drava monster. How it sleeps in a cradle made of shrubs, how it changes size and shape and how it always senses our presence. Most frequent sightings of the Drava monster were at dawn or dusk. So we were safe at this hour. Mysterious Drava river – what’s that floating in the distance? Of course it wasn’t the Drava monster that we saw. Just a large tree trunk that got lodged at the riverbed. Depending on the angle at which you approach it, it can send goosebumps down your spine. ‘But this is how the Drava is’, Zlatko explains. He talks about the river as if it’s a living thing, a person. ‘The river carries all this material in its arms’, he goes on. ‘And when it loses strength, it drops it to the bottom’. Even the scary monsters, i.e. tree trunks. 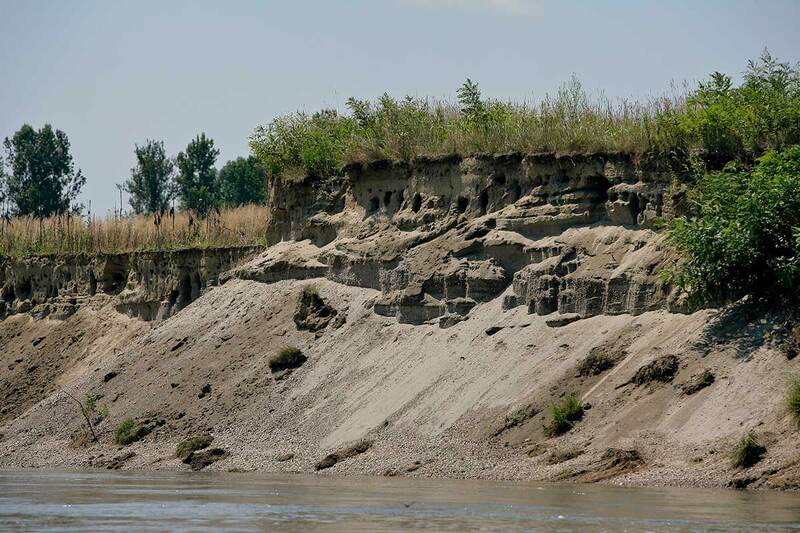 Jokes aside, such workings of the Drava river create another natural phenomenon – the gravel bars (sprudovi). These pebbly sediments can be as big as an island, and right in the middle of the river. When you explore Drava on a boat, it’s easy to reach them. You can have lunch there. But most of all, you can see that what seems like a barren ground is in fact an oasis of life. Especially for many bird species which nest there. Drava riverbanks are a great place to spot sand martins too. This migratory bird is a type of swallow that breeds in a rather unique place. It creates holes inside sandy river slopes. Sand martins’ favourite food are mosquitos. Which is another reason why we should keep riverbanks wild and unpaved. As we reach Ješkovo lake, we hop off the boat. It’s time for lunch. Zlatko is showing us the traditional ‘Drava stick’ (Dravska šiba) meal. For that, each of us finds a willow stick. We peel it and embellish it with whatever we want to eat. Usually (a proper or a veggie) sausage. Then Zlatko makes a fire and we grill our food until it’s nice and crackling. Croatian word for oxbow lake is mrtvica. This would translate as a dead brook or, more generally, a dead place. But biologists have long ago proved that oxbow lakes are places of extreme biodiversity. There is certainly nothing dead about Ješkovo Lake. It’s a Drava oxbow lake near the village of Gola. A place so spirited that it supports all kinds of creatures and creations. This is where anglers and artists deal with gargantuan pikes. The first ones are real, flesh-and-blood, fish that are caught and then released (the rules of the fishing club). The second is a unique wooden sculpture of a pike that entered the Guinness Book of World Records. 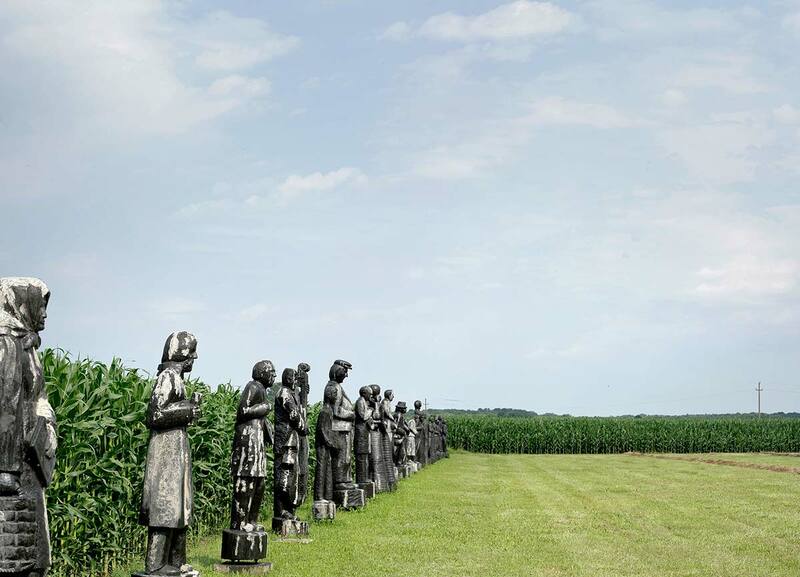 The 10.5 m long sculpture stands in the ‘Eco park of the great Podravina people and the Drava river’. This wonderful open-air showroom was set up in 2007 by sculptor and ceramic artist Dragutin Ciglar – Lao. Across from there is his lakeside house that doubles as Art Camp Ješkovo. This is where Dragutin teaches ceramic art to children and once a year gathers top ceramic artists. During the International Symposium of Art Ceramics, Ješkovo welcomes world renowned potters such as David Roberts and Ljerka Njerš. 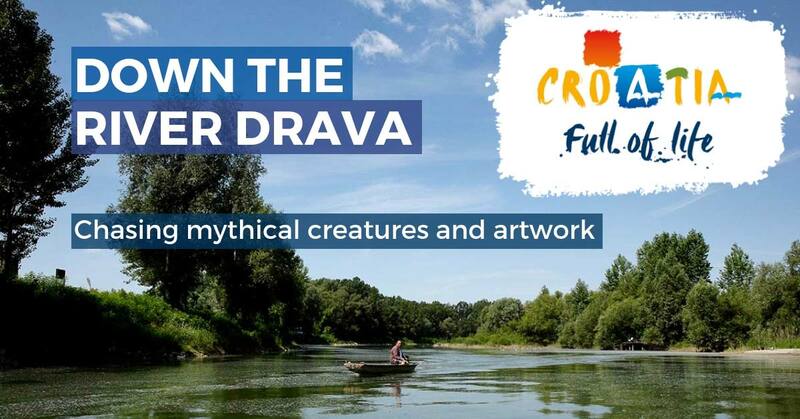 While we were still flowing down the Drava, Zlatko told us that the last sighting of the Drava monster was near Ješkovo Lake. I wonder if the artists will be informed. Maybe a drop of fear is good to get the creative juices going. But surrounded with this much natural beauty, I doubt they need anything else. Flowing down the Drava river I met more miraculous than ordinary creatures. The ones I didn’t have the pleasure of seeing are the Drava Fairies (Dravske vile). I am told they are generally good-natured. Unless you somehow make them angry, they’ll watch over you and help you. If you’re tired of imagining things and really really want to see them, head to Đurđevac at the end of June. Each year there is a reenactment of the local Legend of the Rooster (Legenda o picokima). Dravske vile play a part in the show. 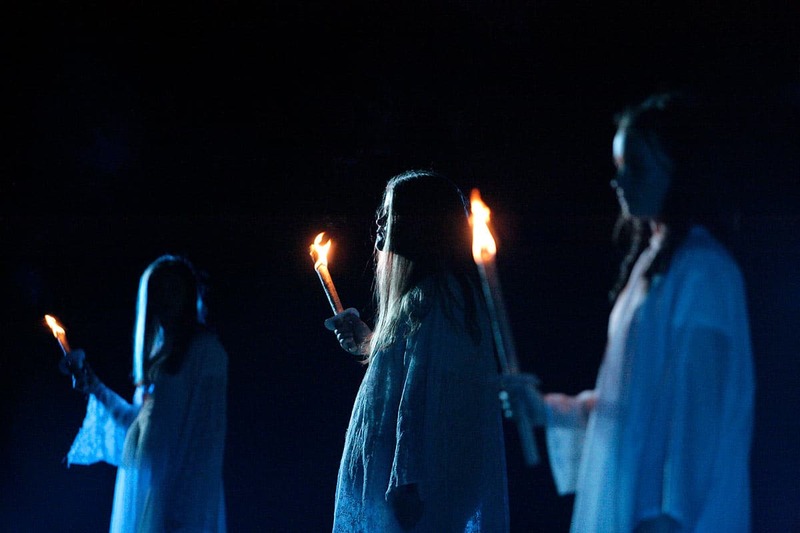 They turn up in all their glory – ethereal, dressed in white and with long silky hair. As is expected, they help defend Đurđevac against the Ottomans. But in this story, it’s the rooster that plays the main role. How? Well, it’s quite ingenious. After a long siege, food became scarce for both sides. Then a wise old woman told the Croatian leader to stuff the only remaining rooster inside a cannon and fire it off into the Ottomans. The message was: we’re not hungry, how about you? The Ottomans believed it. They packed up and left. 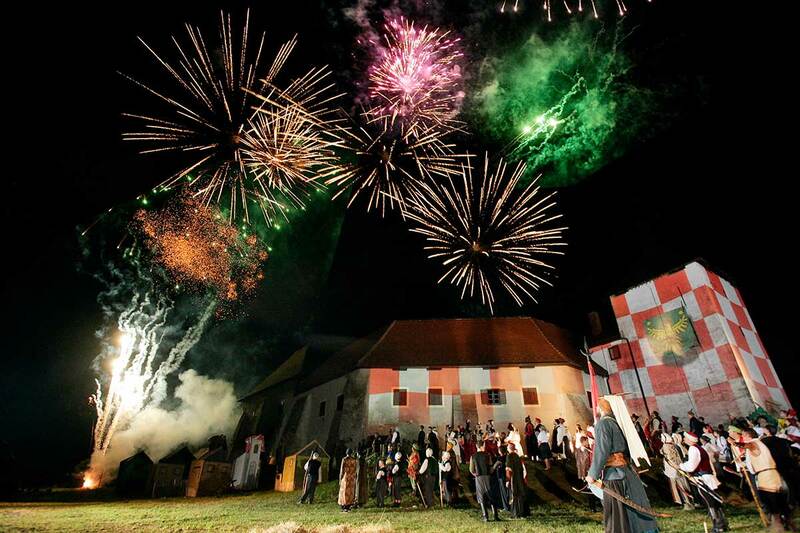 This reenactment of the Legend of the Rooster is the biggest tourist attraction in Podravina. It has been staged since 1968 so this year, I was lucky to attend its 50th editions. And it was quite a show. No wonder the play has been protected as Croatia’s intangible cultural heritage. If all this (super)natural wealth is still not enough, I give you Repaš forest. In fact, I dare you to step inside and not get lost. Repaš is one of the oldest Oak forests in Europe. 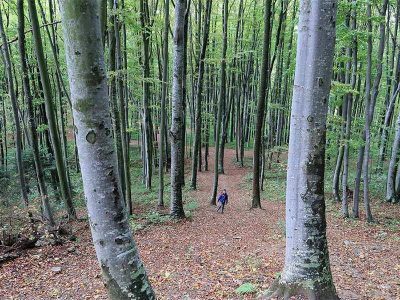 For decades it has been maintained and managed by the national forestry trust (Hrvatske šume). Free roaming was not encouraged, especially with nearby hunting grounds. But these forests are much older than that. And so are the legends of the Forest Fairies (Šumske dekle). It is said that these wild women, dressed only in their long hair, protected Podravina from the Ottomans. When the so called Rei-pasha barged into these lands, only the Forest Fairies could match the power of his army. They spellbound his soldiers, sending them into the Drava river to drown. It’s why the forest is called Repaš. So the legend says. I dare you to check out its mysteries. It’s quite safe to walk around these days. 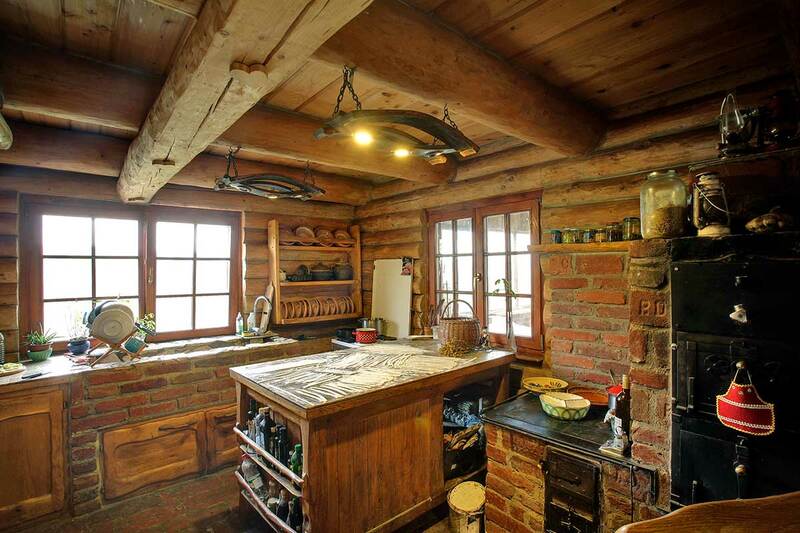 You can even spend the night in Čambina – a hunting lodge nestled by another Drava oxbow lake. There is a primordial kind of beauty in Repaš. A feeling that you’ve travelled miles away from civilization, but also miles into the past. You are literally hugging nature here. Most of us yearn for this kind of escape because we crave silence. But in Repaš, nature is all but silent. Unspoilt nature roars, rumbles and reverberates. It’s a symphony that will heal you. The one you can’t record, only come back to, again and again. I am finishing this travelogue with the story about Lela Treščec. A woman who founded and now single-handedly runs the organic, self-sustainable farm Neonatura. I don’t know if Lela is a natural or supernatural phenomenon. And I mean this in the best sense of the word. Her inspiration, devotion and hard work at this magical piece of land are rare to come by. We were invited to sample her sumptuous vegetarian food. Everything we had for dinner was grown or foraged on her ranch. And just moments before we sat at the table, Lela gave us a tour of her garden and orchard. 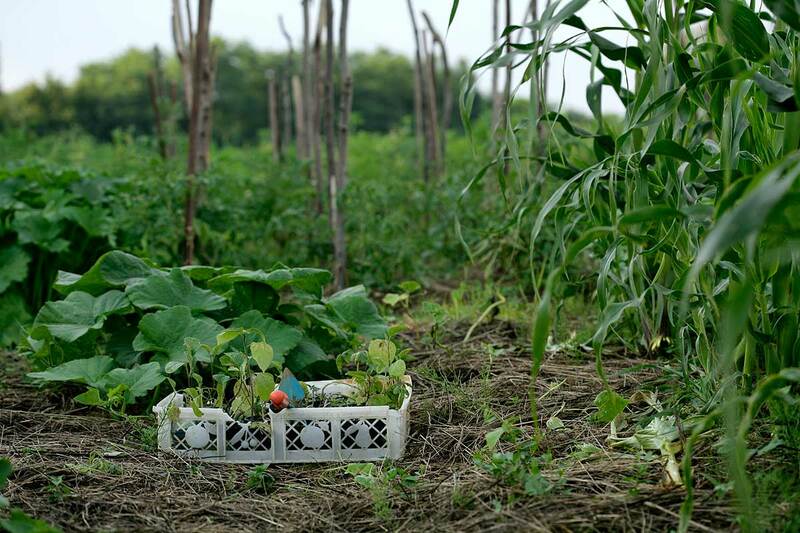 ‘Farm to table’ is not a fancy buzzword for Lela – it’s her everyday way of life. 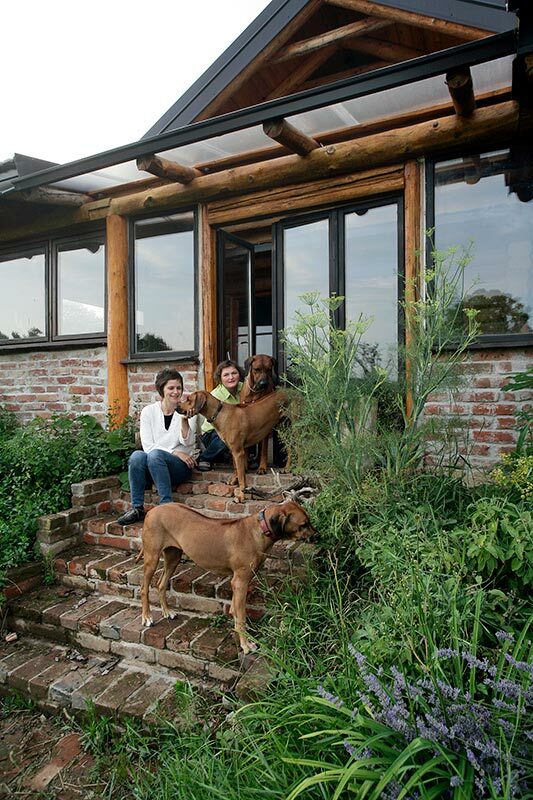 If you’re a vegetarian or vegan and interested in organic living, Lela offers various workshop and visits to Neonatura. 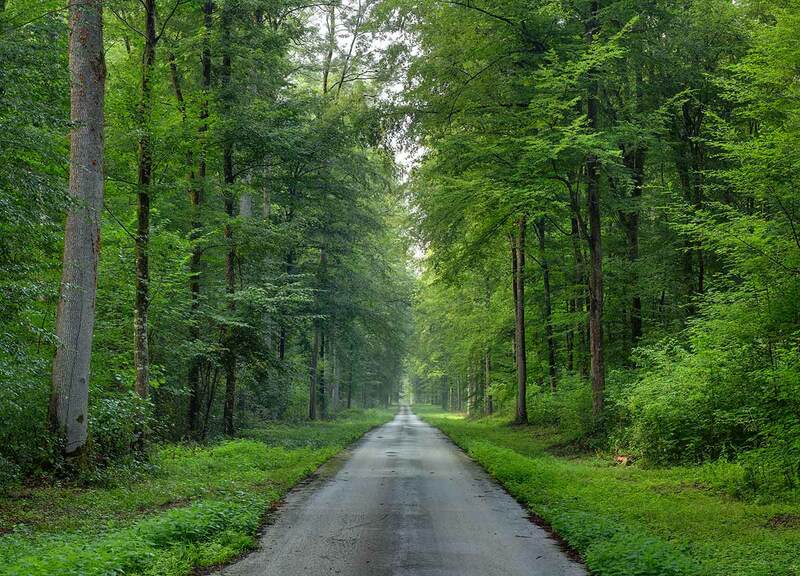 Those of you who are urbanites, allow yourself to get swept away by Podravina nature. The shades of green, the mist, and the fanciful Drava river. I promise you will swoon over it before you know it. 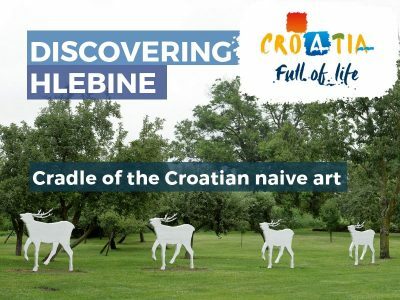 If you’d like more detailed information or are looking to go on a similar trip, please contact the Tourist Board of the region of Central Podravina here. 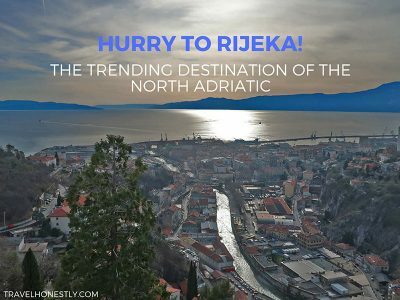 ––>> Where to go in Croatia? Wow! I’m impressed with your pictures! Such a quirky and pretty place. Would love to experience it myself.